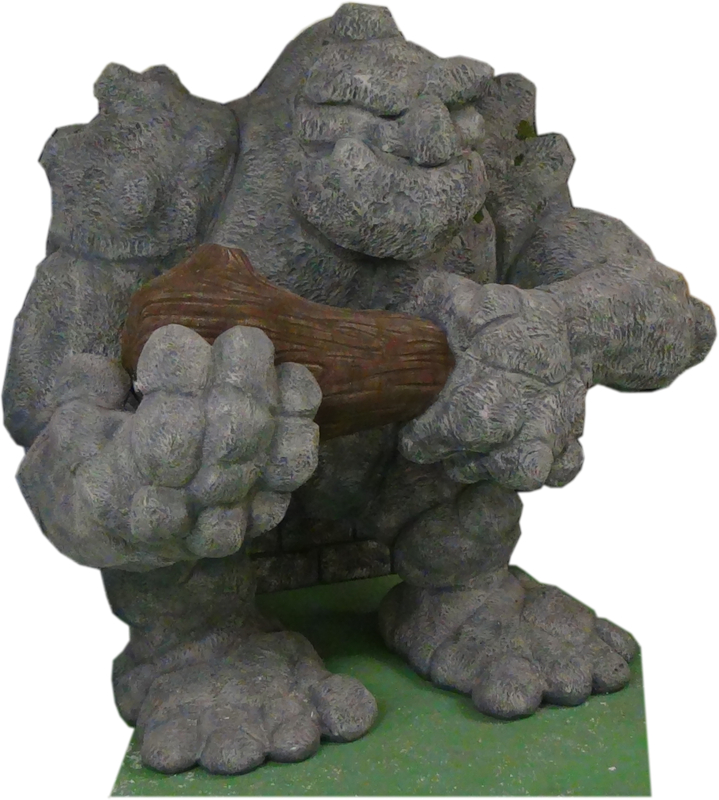 Halloween Grimm Granite Foam Prop Golem - Animatronic - Dino Rentos Studios, INC.
Grimm Granite Golem: One of our favorite foam props and animatronics! 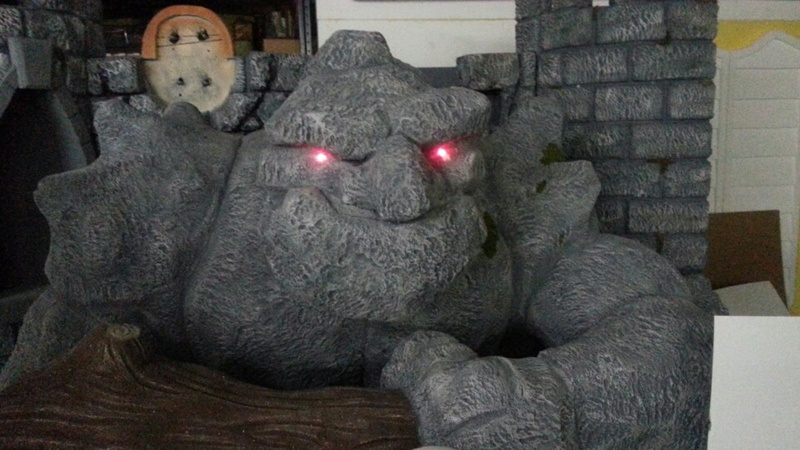 At 6 feet tall, this golem is a menacing presence for any display. Can be used as a stand alone or in your existing theme. 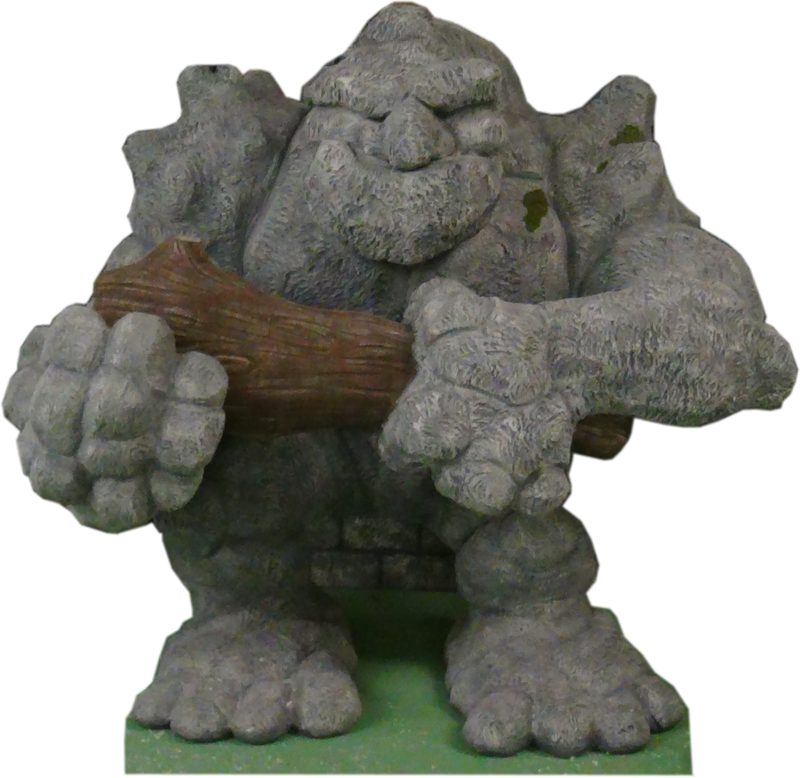 Grimm Granite Golem can be ordered as painted foam or upgrade to plastic coated. NOTE: Painted foam can be damaged if the Styrofoam is hit. Painted foam props can be easily repaired and touched up for an additional, lower cost. Contact us. Plastic coating gives the foam prop a hard plastic shell for long durability. The animatronic package come with a sound track and animatronic face movements. Eyebrows, mouth and eyes are in sync with the sound track. Animatronic video will be posted shortly.